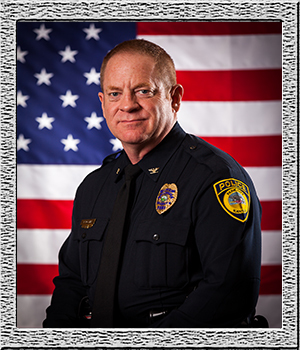 As Chief of Police, I want to thank you for having interest in the Park City Police Department. I am honored to represent the command staff, officers and civilian personnel of the police department. This is truly “Your” police department. Park City currently has seventeen sworn officers dedicated to providing complete and professional law enforcement service to the community. The elected officials of Park City have openly supported the continued growth and technical advancement of the police department. The Park City Police Department is committed to serving and protecting the community in a fair and courteous manner. We strive together as a team to help prevent crime, and to respond to citizens in need at any time. As a department, we hold ourselves to high standards of ethical behavior and efficient performance. It is my hope that every contact our officers make with citizens in our community will demonstrate our commitment to quality service and protection. We sincerely appreciate the support of our citizens as we serve you. Your support and assistance is absolutely essential to the success of our mission. Would you like to learn more about becoming a Park City Police Officer? Click here.